Researchers from S&P Capital IQ and S&P Dow Jones Indices found some surprising data on fees, returns, bear markets and more. When do fees really matter in active investing? 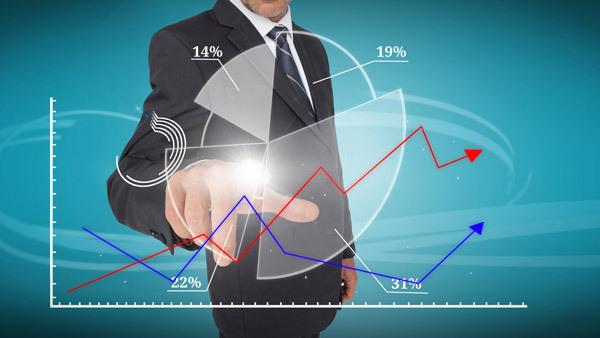 As the ongoing debate between active and passive management continues with no end in sight, advisors may want to consider these findings from S&P Capital IQ and S&P Dow Jones Indices that dispel some popular investment beliefs. They were presented in a webinar this week hosted by Todd Rosenbluth, director of ETF Research at S&P Capital IQ, and Aye Soe, senior director of global research and design at S&P Dow Jones Indices. S&P Dow Jones Indices found that after fees the majority of actively managed funds in all major categories underperformed their respective benchmarks over the 10 years ended Dec. 31, 2014. Even when fees were added back into the calculation, only one category – large-cap value funds – saw the majority of funds beating their benchmark, but the difference wasn’t that great. Just 53% of actively managed large-cap value funds beat their benchmark then. Net of fees, only 41% of large-cap value funds outperformed. “Fees don’t really play a big role at all,” said Soe, about the performance of actively managed equity funds. In all, S&P studied nine categories of equity funds – growth, core and value for large-cap, mid-cap and small-cap funds. Excluding large-cap value, only 8% to 16% of actively managed equity funds beat their benchmarks after fees; 23% to 49% outperformed when fees were not considered in the calculation. Actively managed bond funds fare better than their equity counterparts when gauging performance against their benchmarks, whether fees are included or excluded in the comparisons. S&P studied 11 categories of bond funds: short, intermediate and long government and investment-grade bond funds plus high-yield, mortgage-backed, global, emerging market and muni funds. In only two categories did the majority of funds beat their benchmarks, and again the gap was narrow. Net of fees just 51% of intermediate bond funds and 53% of global income funds outperformed their benchmarks. When fees were not considered in the calculation – in other words, added back in – the majority of funds in eight of 11 categories beat their benchmarks, sometimes by big margins. Emerging market debt funds led, with 81% outperforming their benchmark, followed by muni bond funds (65%), global income funds and intermediate investment grade (64% each). “In fixed income the excess return the manager is generating often is being eaten up by fees,” said Soe. It’s conventional market wisdom that active management makes a difference in the performance of small-cap and high-yield bond funds. These sectors are considered less efficient than others so that portfolio managers have a greater ability to exploit those inefficiencies and earn bigger profits. No so, according to the S&P researchers. “We found that 80% to 90% of actively managed small-cap funds have underperformed the benchmark …. [and] high-yield bond managers … repeatedly fail time after time to beat the index,” said Soe. Investors not surprisingly may believe that actively managed stock funds can be a refuge in down markets because they have an opportunity to outperform, whereas index funds by their very nature cannot. But during the bear markets in 2000-’02 and in 2008, that was not the case. The majority of actively managed funds in all categories except large-cap value underperformed their benchmarks. In other words, they lost more money than the market did. Among large-cap value funds, 64% beat their benchmark during the 2000-’02 bear market, and 78% beat the index in 2008. There are, of course, actively managed funds that beat their benchmarks and many of their peers at times, but can they sustain their outperformance? Many advisors and investors know that’s not likely, but they may be surprised by the data. The S&P researchers looked at the performance of actively managed domestic equity funds in the top quartile for the five years ended March 2011 and for the five years that followed, ended March 2015. They found that at best only 1% of multi-cap funds remained in the top quartile for the five years ended March 2015. None of the funds in the other categories — small-, mid-cap and large-cap — beat their benchmarks the second time around.